478.00 sqft. - 589.00 sqft. 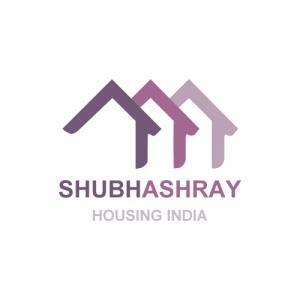 Home buyers in search of a quality residential housing solution in Jaipurs Vatika should keep an eye on the market for Jaipur Phase 1 B by Shubhashray Housing India. The project conceptualised over a vast, sprawling concept and touted to be the jewel of residential infrastructure in Vatika. Future residents can look forward to aesthetic home design and a long list of amenities that make for a comfortable, suburban home life. Vatika caters to every imaginable requirement of a domestic household. Social and commercial infrastructure in the area is on the rise. 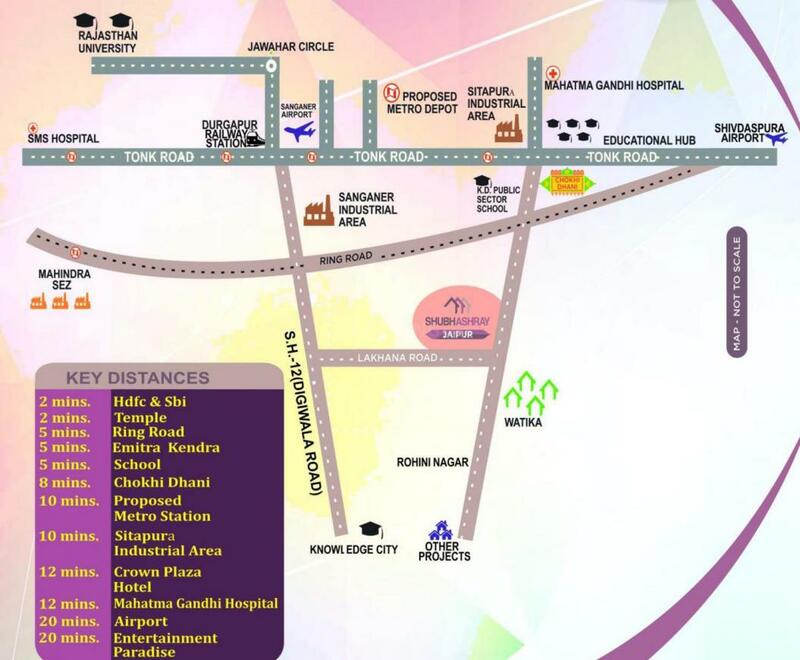 There are a number of good schools, banks and hospitals in the area for prospective buyers planning on making the move to Vatika. The sudden acceleration in residential properties has birthed for this growth. Residents can expect to easily access areas like Sitapura, Sanganer, Tonk Road, Shivdaspura, Renwai, Jagatpura. The railway station and airport are a short distance away. 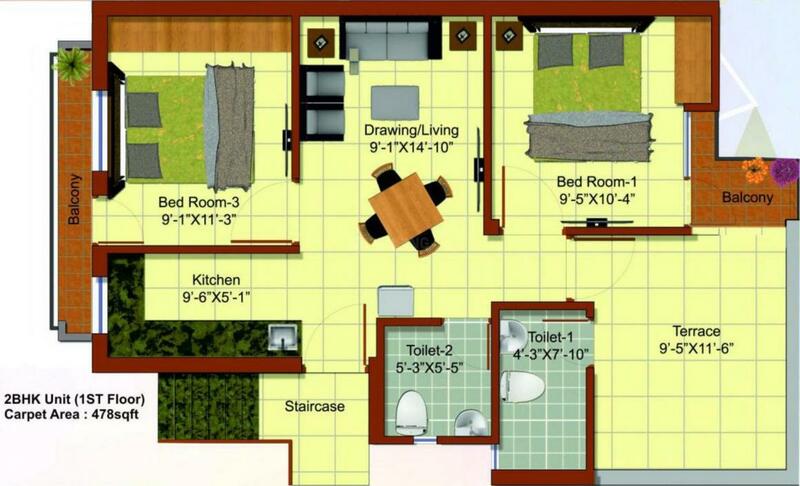 Carpet Area : 478.00 sqft.